Click the View Statistics icon to access the metrics for your account. As you share and/or interact with other Pathbrite users, you may receive comments on your portfolios or individual artifacts, or notifications about other course/program related activities. 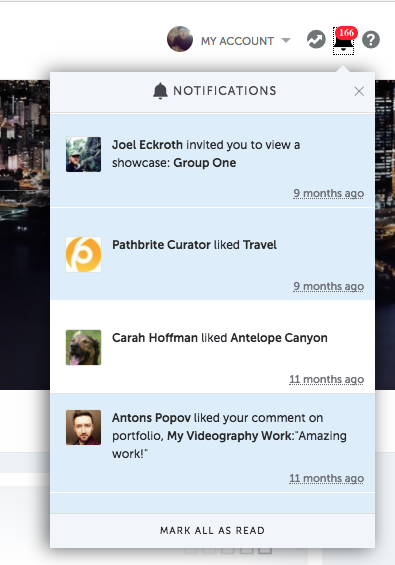 Each interaction will trigger a notification which will appear in the upper right hand corner of the application.